Many of us, especially in the asphalt sealing business, make a considerable effort to protect our bodies from the effects of the sun. Whether it’s the mid-afternoon heat or the intensity of the sun’s rays, we have an endless range of solutions to the sun. Hats, sun tan lotion, water, air conditioning and long sleeves all help protect us from potential damage to our bodies caused by the sun. In much the same way, asphalt parking lots and driveways also need protecting from the damaging effects of the sun with quality asphalt sealing. Without it, the life of an asphalt pavement is greatly shortened and will fall into premature disrepair. Duraseal Asphalt Sealing & Line Striping, Inc. specialize in maintenance and repair and have over 30 years experience asphalt sealing in the Philadelphia PA and Camden NJ areas. 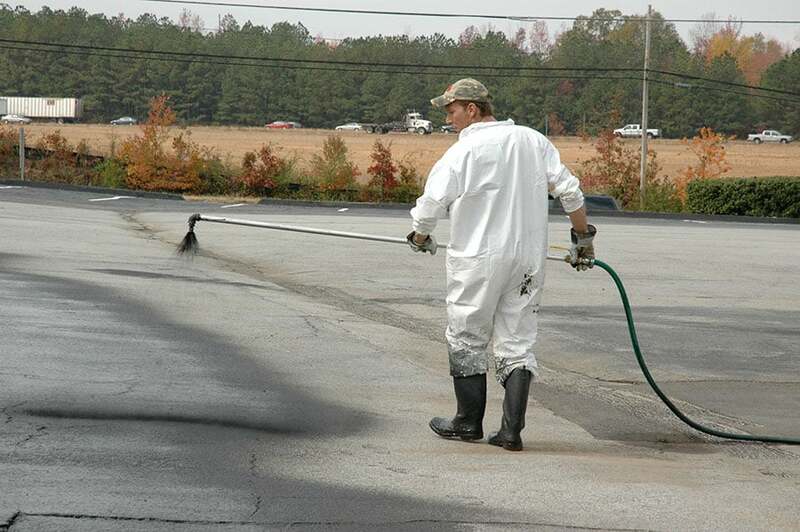 Many property owners are not aware of the damaging effects the sun has on their asphalt parking lot or drive. For that reason, they will often leave the pavement for many years without simple, inexpensive maintenance that can save them many thousands of dollars in costly repairs. When properly maintained through regular asphalt sealing and other maintenance techniques, and asphalt pavement should last 20-25 years with very little repair. Without maintenance parking lots and other high traffic pavements can begin to fail within the first 10 years. Without asphalt sealing the sun’s effects on pavement causes it to become dry and brittle. As asphalt loses its flexibility it begins to crack when normally it would contract and expand with the seasons. Once this happens water penetrates the surface and begins to cause damage to the pavement structure. This requires costly asphalt repair. Don’t let the effects of the sun ruin your asphalt pavement when simple maintenance such as asphalt sealing can protect it and maximize your investment. Protect your pavement by calling the asphalt company of choice – Duraseal Asphalt Sealing & Line Striping, Inc. We offer asphalt sealing in Camden NJ, Philadelphia PA, and many of the the surrounding areas. Call 1-800-559-7325 or fill out the contact form to get started.